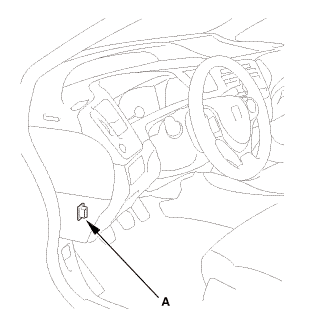 Front passenger's seat component(s) replacement or removal (except front passenger's weight sensor unit). Front passenger's weight sensor(s) replacement or removal. Keep the windows and the moonroof closed (if equipped). Make sure all aftermarket devices (amplifiers, fluorescent light, air purifiers, CB or HAM radios, etc.) are turned off. 2-door: From the HDS Main Menu, select SRS, then Inspection. In the Inspection Menu, select AFTER REPLACING FRONT PASSENGER'S SEAT COMPONENT(S). Follow the prompts until the front passenger's weight sensor unit operation check has been completed. 4-door: From SRS of the HDS Main Menu, select SWS, then Inspection. In the Inspection Menu, select AFTER REPLACING FRONT PASSENGER'S SEAT COMPONENT(S). Follow the prompts until the front passenger's weight sensor unit operation check has been completed.